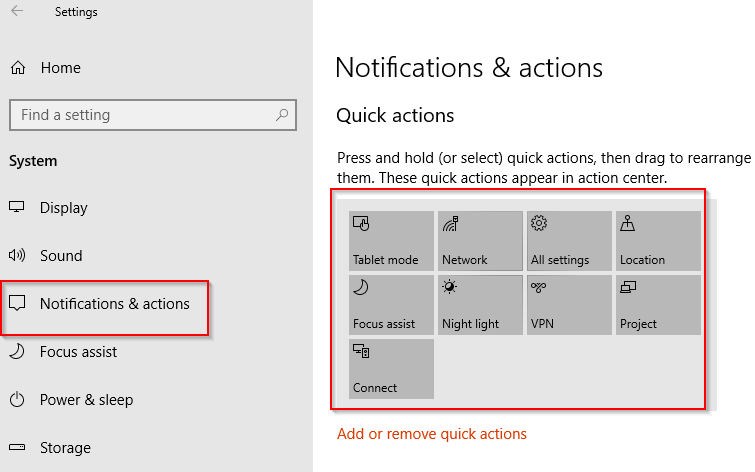 Quick Actions icons in the notifications area of Windows 10 are useful shortcuts for common tasks. These can be customized and rearranged if needed. 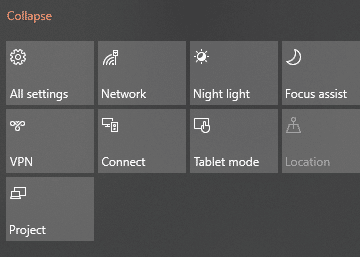 Access All Settings (Windows key + I) and choose System. Click on Notifications & actions. 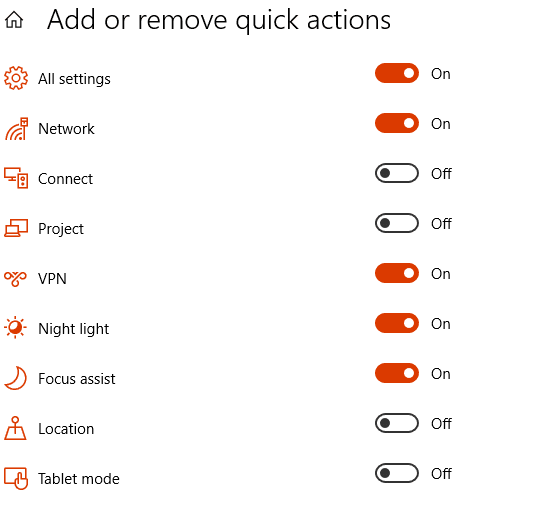 The layout shown for these quick actions icons is the one in use. 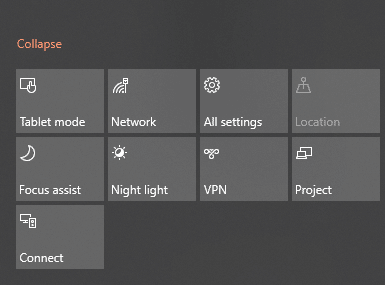 To move these icons around and rearrange them as needed, click on them individually and drag-drop. These changes will now be visible in the notifications area. 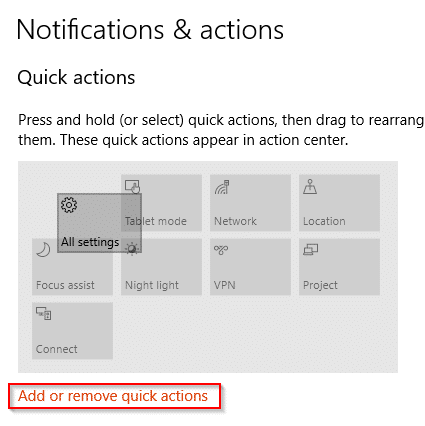 Also, you can choose which of these quick actions to keep or remove by clicking on Add or remove quick actions. This is useful so as not to clutter the notifications area with unnecessary icons. Drag the slider to Off for each of them as needed. 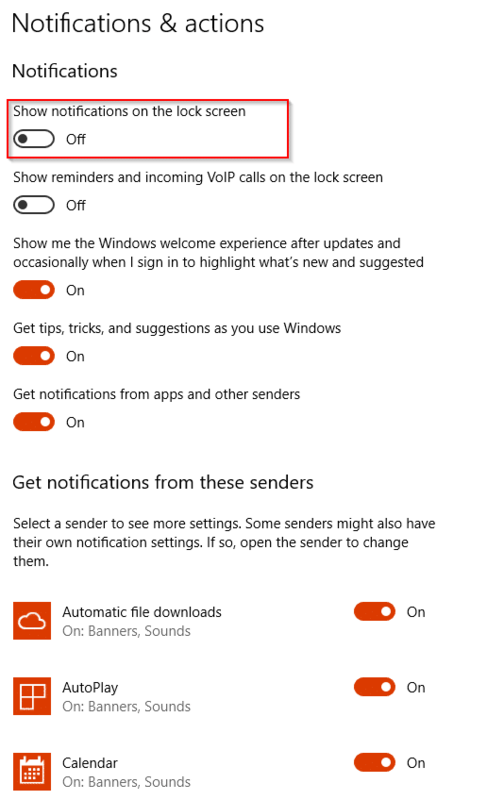 Notifications based on senders as well as turning them off on lock screen can also be changed. This is through Notifications & actions section.